In this artwork, I use a lot of purple. I also make use of very sketchy lines, combined with more vague brush strokes. Dog Charlie, isn't he wise. 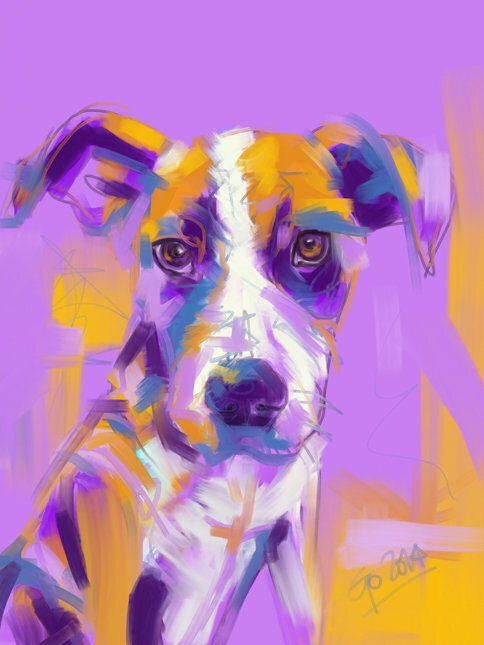 Dog, Dogs, Dog Art, Digital Dog Art, Dog Painting, Dog Paintings, K9 Art, Canine, Canine Art, Dog Charlie by Go van Kampen.